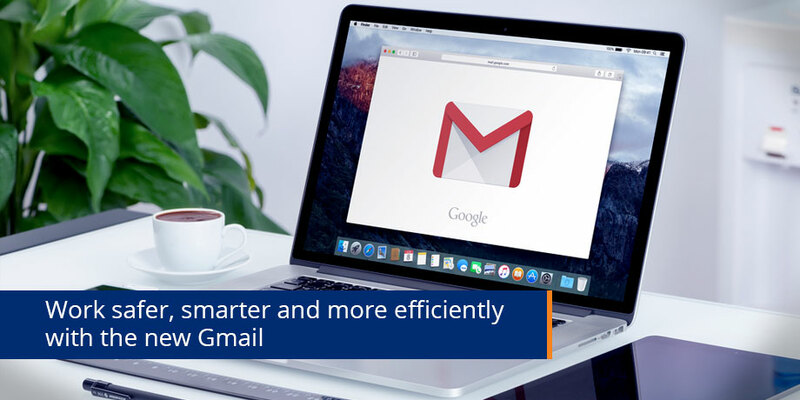 Gmail has redesigned its web application to help you collaborate faster and spend less time managing your inbox. 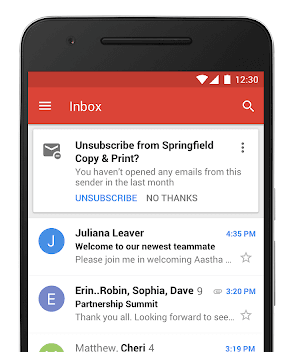 The new Gmail will help you work safer, smarter and more efficiently. Keeping data secure is a top priority. 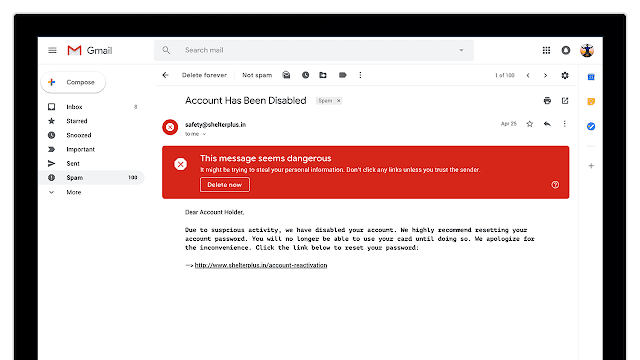 Adding to phishing protections, the bigger and bolder warnings help you easily identify potentially risky email. Controls that allow you to remove the option to forward, copy, download or print messages. 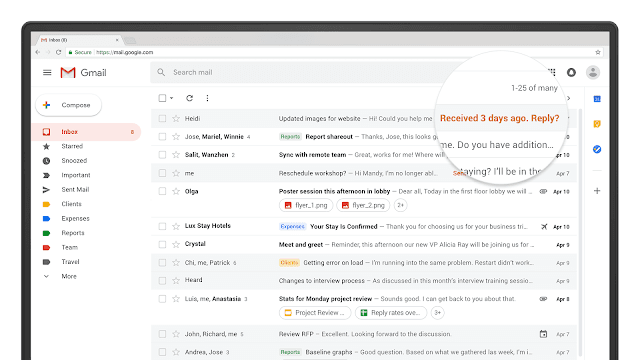 The new AI-powered features in Gmail do some of the thinking for us and make relevant suggestions. Smart reply was already available on Gmail’s mobile app, but now it is also available on the web. It helps you respond to messages faster by suggesting a few responses that just take one click to reply. Reminds you to follow up and respond to messages that you haven’t yet replied to. 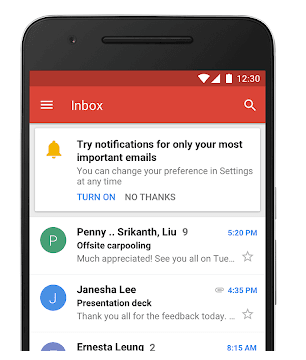 Notifications for high-priority messages that help you focus on your most important tasks. It only notifies you of important messages, keeping interruptions to a minimum. Suggestions appear based on things like how many emails you get from a sender and how many of them you read. Quick access to actions and other apps helps get things done faster. See and click attachments in your inbox before ever opening a thread. Action buttons pop up when you hover over a message. Actions include, archive, delete, mark as read or unread and snooze. 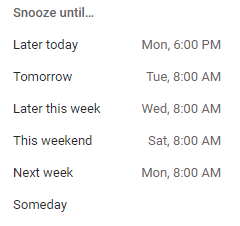 Hit a new snooze button to put less important emails on hold. Jump to apps like Google calendar, tasks or other add-ons that you have installed quickly and easily with the right-hand side bar. Simply drag emails to the tasks section to set a new to-do list, based on the email. 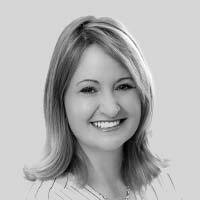 These great new features prove that email still ‘stands it ground’ in today’s dynamic digital environment, as it continues to evolve, proving it’s versatility by offering more advanced functionality each time. It is no wonder it is still the preferred digital communication channel for the majority of consumers!